Check out Tobi's Harlowe Pleated Culottes Steal one from the boys in the Harlowe Pleated Culottes Pants. Features pleats for a fuller look and a side button closure. Wear with a simple crop top to offset the look or wear with a buttoned blouse to go all in. 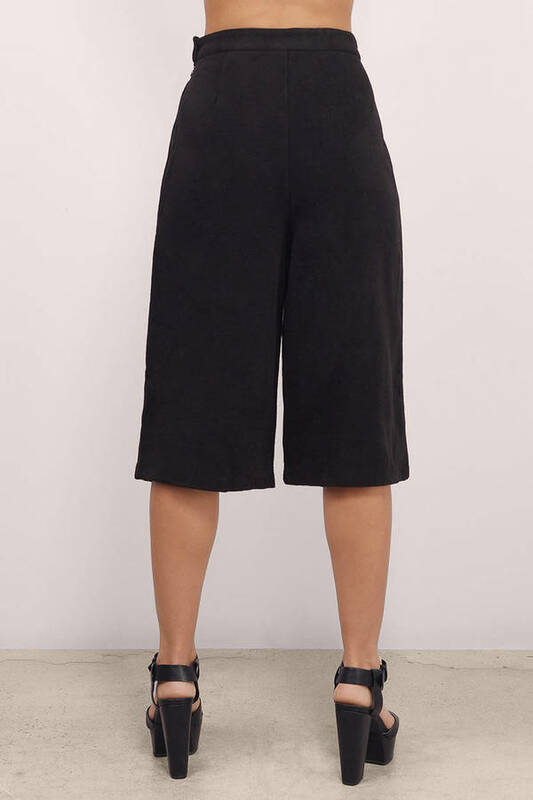 Steal one from the boys in the Harlowe Pleated Culottes Pants. Features pleats for a fuller look and a side button closure. Wear with a simple crop top to offset the look or wear with a buttoned blouse to go all in.